Mainly Genius | Music Reviews. Music News. Music Views. The term singer-songwriter can evoke different things in different people. To some, it’s a byword for acoustic tedium, uninteresting chords that have nothing to say that’s not been said before. But for those who appreciate the genre, it’s a word at the other end of the spectrum. It evokes emotion, creativity and boldness. It’s easy to be good but very few can be great. 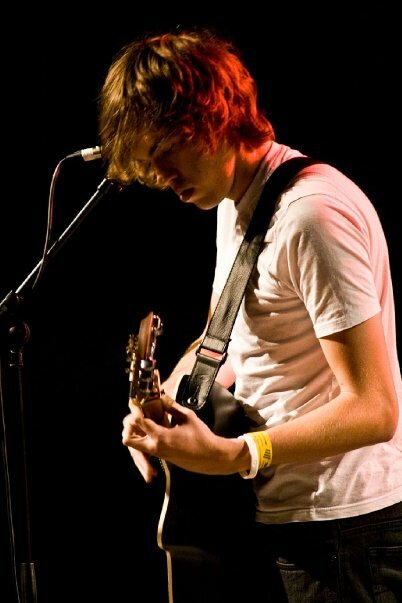 Last year, Tom Stephens released his first ‘proper’ EP following years (both formative and otherwise) spent in various bands and musical outfits. However, he’ll tell you that the folksy acoustic sounds found on this EP are his first love. Luckily for us he also adores giving away free music and would like nothing more than for us to go and download the whole lot for nothing. Always happy to help. First EP Division (full review here) was, although a touch overambitious and muddy in places, an accomplished and brooding affair that was promising to say the least – but this year’s follow-up, entitled Barricades, has shifted priorities. Opening track Berlin starts in a familiar, chordy way but soon becomes an example of the additions that have brought a new spark. The double bass is subtle throughout, leaving enough room for one guitar track to suffice for the majority of the song. But it’s towards the end that as the track becomes darker and the perception shifts. Slowly, layers of vocals and percussion are added to twist what was before a regretful lament into something much more haunting and foreboding. A similar effect is achieved on Morning Song. Although the base of chords and vocals still exist from times gone by, there’s a constant edge that gives the track momentum. Falsettos that would’ve been laughed out of the room last time around are rightfully given pride of place and the swirling harmonies recall shades of Hail to the Thief era Radiohead in their darkness. It’s no coincidence that this is by far and away Stephens’ best vocal performance on what is the record’s best track. However, there does seem to be a slight struggle to retain a high production value throughout. Both Sea Panic and Start feel a little too much like fillers with the latter more B-side than anything else. A clunky, chugging acoustic makes it sound like an acoustic rendition of a far grander track and it although it does have a uplifting chorus, it doesn’t really have as much direction or ambition than others. That aside, there’s much here to admire. Numerous flourishes build on and enhance the music, from the brushed snares at the end of Berlin, to the cracked yet brilliant vocal harmonies on Morning Song, to the brilliantly rich and natural guitars on Alter Ego (perhaps some credit should go in the direction of producer/engineer Joseph Buckler at this stage). Whereas Divison seemed like an outpouring of ideas and melodies, Barricades is much more whole. The tracks sit more comfortably together and although there’s arguably less in the songwriting, this is more than made up for with the production. The bass is tactfully deployed and the vocals are more confident and more enjoyable than ever. There’s no doubt that both Barricades and Division before it are slow-burners. You won’t find expansive drums and grand string sections. But you will get is more organic and much smarter – making it a far better listen in the process. It’s still not ‘that’ breakthrough EP, but it’s got the attitude of it, and there’s no doubt that Stephens has the talent to back that up. Take 17 minutes, listen to what can be achieved with patience, care and a little ambition, and then go away and think about what you should’ve done. Because I’ll bet it won’t be as good as this. Or say hello on Twitter and Facebook. Below you can grab yourself a copy of Morning Song and also listen to Berlin, the stand out tracks on the record. But why would you want to when the whole lot is available for free? As a band riding the crest of a folk wave back in 2008, Fleet Foxes enjoyed a popularity that perhaps wasn’t just down to their music. Along with acts such as Mumford & Sons, Laura Marling, Noah and the Whale et al, they were at the forefront of a new and more accessible style of folk, which culminated with Mercury Prize nominations for both Mumford and Marling. So a Fleet Foxes second album then was always going come under more pressure than others – as much at risk from apathy as anything else. Thankfully though, they’ve sidestepped that with much room to spare. There are many words that come to mind when recalling the mountainous brilliance of Helplessness Blues and both mountainous and brilliant are up there. But it’s really the effortlessness, the delicacy and the beauty with which the album is delivered. They’ve made a small enough stride satisfy there current fans but more importantly, they’ve made a big enough one to not only gain scores of new fans but to re-awaken and remind those that may have been drowned out in 2008. Overall, Helplessness Blues is a masterpiece from start to finish and as engaging and inspiring as anything released this decade, let alone this year. Rightly nominated for a Grammy, it’s a blueprint for the perfect second album and a standout entry against some extremely tough competition. Expect stadiums within years – Mumford be afraid. 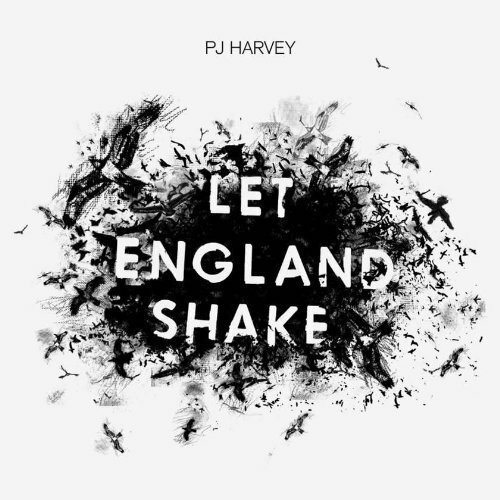 From the very first words of ­Let England Shake, it’s clear that the old, Rock FM PJ Harvey has gone. In her place is an angered, reflective, ashamed and frightened replacement, unafraid to question the West and her own country. Lyrically based around the First World War, the album draws alarming and non-accidental parallels with current world events and, in a time of the Arab Spring, London Riots and Occupy Wall Street, the album is a masterpiece. Harvey has stated that this is a reaction to her feelings of recent current events and equally her reaction to the struggle of turning those in art. The answer came not from confessional, emotion-dumping but from research and reading first-hand accounts of the horror of war. Whether you agree with her opinions or not (and it’s difficult not to), there’s no denying the effect the raw and sharp lyrics have, the imagery placing the listener at the centre. Damning of War, England and the backdrop it’s created, Harvey frequently tells of haunting landscapes and images such as “bitter branches spreading out” on Bitter Branches and of “stinking alleys” and “drunken beats” on The Last Living Rose. And with a dark irony on The Words That Maketh Murder she sings “What if I take my problems to the United Nations?” or “Take me back to England! The grey, damp filthiness of ages” on The Last Living Rose, all at once marking out the bureaucracy as sad as the reality. As a subject matter, War is a saturated market, and for PJ Harvey to have produced something that stands out so magnificently is astonishing. To tell stories of soldiers falling on the blood-stained earth without triteness is an accomplishment – to do it so well on a pop album is something else entirely. As a debut album of such beauty, originality and brilliance Bon Iver’s first – entitled For Emma, Forever Ago – was always going to raise questions for the group’s longevity. The back story (girlfriend leaves boy, boy gets sad, boy writes brilliant folk album over three months in a remote cottage in Vermont) and lyrical content was so perfect and strong many wondered if this was a one-off. But Bon Iver/Justin Vernon has responded in magnificent fashion, weaving a tapestry of folk, ambient and even hints of psychedelica that manages surpass the unsurpassable. The seeds were sown in 2009’s Blood Bank, the first release after the huge success of the debut album – hinting at a direction less of the singer/songwriter mould and giving freedom to other aspects in the instrumentation that were reduced down, or discarded in 2008. The self-titled album is a continuation of this trend and sees Vernon put down his guitar and make the (obviously effortless) transition into a much bigger producer role. Introducing duelling drummers, tenor sax and in album closer Beth/Rest, synths that hark back to the 80s heyday of artists such Phil Collins and Bruce Hornsby is a bold step but fits so smoothly with the slightly darker and more haunting sound that Vernon has brought to his vocals and songwriting. Each track is a place name and whether real, imagined or a combination of both (Hinom, TX) and each presents vivid imagery – from the fields and valleys of Minnesota, WI to the Lakes and forests of standout track Perth. Overall, the key parts are still there – Holocene has guitars and falsettos to match anything found on For Emma… and should placate those who love the folky side to Bon Iver. But the additions and expansions of the drums, horns keyboards’ and overall production has added an whole other dimension to Vernon’s sound that’s arguably more beautiful and effective than the less is more approach previously employed. There’s so much to enjoy here and it’s a phenomenal and well deserved success story for Bon Iver. Bon Iver is rich and expansive without being the least bit grandiose or ostentatious and in the end the clear choice for the top spot. To do it once was brilliant, to better it a second time approaches genius. 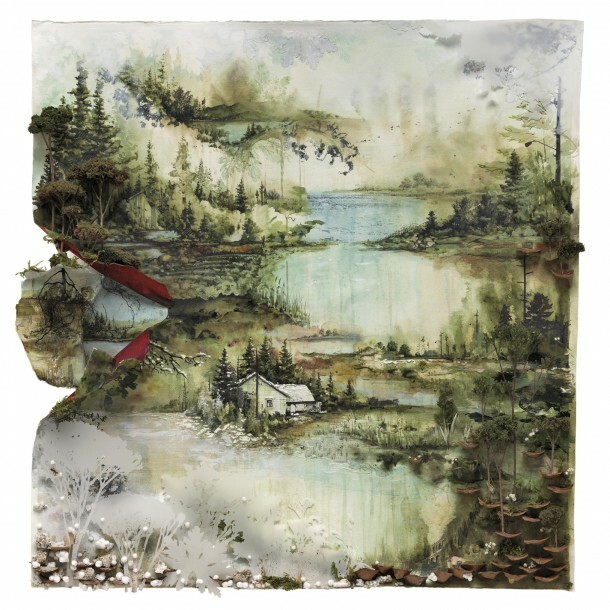 Long live Bon Iver. The fun continues as the Mainly Genius albums of 2011 countdown reveals albums 4-7. Perhaps worth mentioning some albums that didn’t quite make the cut at this juncture – efforts including the rasping and raw El Camino by The Black Keys, Jay-Z & Kanye West’s hip-hop super-album Watch the Throne, the fantastically mature and engaging Skying by The Horrors and So Beautiful or So What from folk demi-god Paul Simon. All excellent efforts but not quite as good as these..
Those following the trajectory of British Sea Power’s now lengthy career will have noticed a steady upward trend. Starting in 2003 and making a real breakthrough with career highlight Do You Like Rock Music in 2008, they’ve continued to be one of the few indie bands that have sustained and improved upon themselves album after album. Whilst many indie bands enjoy a peak before a sharp fall into nothingness (Klaxons anyone? ), BSP have become favourites of many in the music press known for their loveable eccentricity that never ventures into anything alienating. The album is an superb representation of this and whilst it’s not got the breakthough catchiness or pop of Do You Like Rock Music, this one feels almost like the band have grown up and is easily the most cohesive album to date. From the roaring power of Who’s in Control and We Are Sound, to the more measured but no less engaging Georgie Ray. 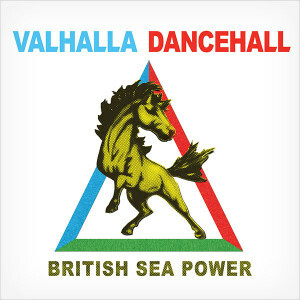 Although a ten minute epic was perhaps a little much for an album closer, Valhalla Dancehall contains much of the bands best work to date, combining the oblique lyrics and themes the band are loved for, with enough gusto and energy to bring new fans on board. Arguably the best BSP have produced to date, it comes as an excellent reminder that they’re still one of best in their class and although they may be nearly 10 years in, there’s plenty more to come yet. British Sea Power – Who’s In Control? There’s something so satisfying when a hidden gem is uncovered. A diamond in a vast sea of rough music. 21-year-old Abel Tesfaye – better known by his stage name The Weeknd – falls firmly into this category, and with his debut album House of Balloons by far the winner of free album of the year, is destined for a spectactular future based on this offering. The album is the first of a trilogy released in 2011 (the other two being Thursday and Echoes of Silence) and a joy to behold. Effortless and skilful are words that immediately spring to mind as the combination of soul, electro and Hip-Hop come together in spectacular fashion, with opener High for This a particular highlight – and a favourite of Hip-Hop superpower Drake no less. Based on his first year, The Weeknd is assured of a successful future – House of Balloons sits easily alongside some of the best in the business, most of which have experience and and fanbases that should put them well out of reach. The fact that it’s all free makes it all the more unbelievable and fantastic for it – and now there’s no excuse not to download it. As a band Coldplay have recently entered their 2nd decade together and, unsurprisingly, are looking to make a U2-like grand statement to give them that one that counts. And, unsurprisingly, ­Mylo Xyloto is a huge, stadium-sized musical statement for X Factor generation. For all it’s successes, 2008’s Viva La Vida was perhaps too experimental, for a pop band at least; the result of the band trying move away from easy-listening (read: boring) 3rd album X&Y. Mylo Xyloto then is the coming together of the two. Invoking that Coldplay knack of changing their sound and yet remaining the same is heard all over this. Including short bursts of synths in-between storming pop numbers culminating in ­Princess of China a duet with Rihanna that moves that moves the goalposts and places them in direct competition with the R&B and Pop that resides at the top of the charts. It’s hard to deny that the doubters will be out with a renewed vigour as songs such Paradise, Charlie Brown and lead single Every Teardrop is a Waterfall will feature in idents and trailers for months to come. But there’s no denying the quality and what’s clear is this is a band that has, yet again, raised their own bar even higher. From the driving bass of Paradise, to the earthy almost analog sounds of Major Minus, to the biggest throwback to their early career in the soulful Up in Flames. Although it won’t be seminal album they’d hoped for, there’s plenty to enjoy here and although we’re unlikely to see a shift in the greater musical landscape, what Mylo Xyloto does do is bridge a gap between the stadium bands of old and the R&B acts that dominate in the 21st century. Capturing the essence of both and diluting neither is a impressive achievement – if there is one band to save the music industry, you’ll hate me for saying Coldplay. But I’m afraid the answer is Coldplay. It’s difficult to place why Manchester Orchestra are still limited to such a relatively small following. At a push, it would be possible to put them in a box – annoyingly labelled ‘heavy rock’ or similar – but their particular scene was long gone by the time debut I’m Like a Virgin Losing a Child hit the shelves in 2006. But since then they’ve been steadily building up a loyal following, especially with the music press – Andy Hull’s whiny yet powerful voice instantly recognisable as it bursts with emotion and anger. As an album, Simple Math has made waves, and many more than any of it’s predecessors and the praise is rightly deserved. It moves from the measured calmness of opener Deer, to the crashing drums and brutal guitars of April Fool to the album’s title track and highlight Simple Math. Bringing together to calmness before the orchestrated strings and guitars roar over the chorus – Hull sings of a young man trying to find guidance and love and has an uncanny ability to draw the listener in as everything seemingly crashes and collapses around him. The album reeks of maturity and a band finally finding their own voice and playing to their strengths – storming guitars will placate those who like to have their ears punished, whilst those who appreciate the more measured and introspective moments will equally find much to enjoy. Dripping with emotion, darkness and brilliance at every turn – Simple Math deserves more credit than it’ll ever get, but that’s what makes it all the better, and I hope it stays that way. In this ever changing and volatile world there are very few things we can be sure of. Along with the inevitable onset of death, the relentless march of time and planned engineering works, one of those things is the spate of end of year lists around Christmas time. This year is no different and not wishing to disappoint either of the readers of this blog I’ve embarked on my top albums of 2011. To say that there was intrigue surrounding Gallagher senior’s next move post-Oasis is an understatement. Fans and non-fans alike were keen to see how he would escape the shadow of one of the most successful bands of the Britpop revolution, or even whether he would at all. After immediately dismissing Liam Gallagher’s first effort as a ludicrous pastiche of himself, it became even clearer where the songwriting talent lay in Oasis and the release of Noel Gallagher’s High Flying Birds probably surprised us all, because it was actually very good. Although it’s no game-changer, Gallagher’s solo debut is an enjoyable and assured effort from the king of Britpop and strays enough away form the arrogance of Oasis whilst keeping that lovable Manc confidence in full flow. Although the lyrics still lack that certain something, it was never really a deal breaker and the eye for a melody that proved so successful in the past has been re-awakened with what seems much fresher orchestration and maturity than that of the past. AKA…What a Life is a measured and catchy tune that unlike, Oasis last album (2008’s Dig Out the Truth) or anything to date by Beady Eye, was written of the course of weeks rather than hours. Overall, you know what to expect with a Noel Gallagher album, and although …High Flying Birds ticks all those boxes, it also reaches out and ticks a few more. It’s got some moments of genuine excellence and as a whole, shows a man not out for revenge but with a renewed hunger. He’ll never admit it, but Noel Gallagher had something to prove to us in 2011 and with his debut album he’s gone a long way to doing that. The best since 1996 and well worth a listen. Noel Gallagher’s High Flying Birds – AKA…What a Life! The third effort from the prolific and steadily rising singer-songwriter sees him stick with the same formula that has worked so well in the past and executes with such aplomb that you forget that perhaps it’s one you could’ve heard before. As an album written, recorded and released in less than a year it sounds excellent and is as polished as many artists with far deeper pockets. Passion and commitment propel the album along and it’s arguably Cornish’s most personal work to date. The ballads are the real strong point and tracks such as Breathe Slow and This is the Point are genuine highlights. It’s has a significant Mercury Prize feel about it and Cornish’s vocals get stronger with every release. Get the album and say you were there at the beginning – you won’t be disappointed. 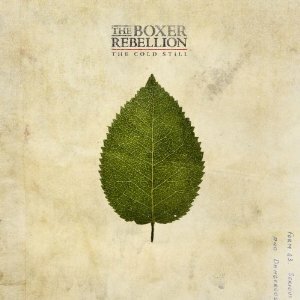 A triumphant return for the darlings of the Mainly Genius blog saw The Boxer Rebellion release their 3rd album in February. Easily taking the award for Grower of the Year, The Cold Still is slow burner that plays on some of the softer elements of their sound, whilst there no mistaking the tumbling drums, falling crescendos and soaring vocals, everything seems softer somehow – as if cased in bubble wrap. Of course many songs delight including their very credible Pendulum impression on Step Out of the Car and the world-weary and excellently orchestrated ­Locked in the Basement for starters. But they’ve sold out – there’s no denying it and I wouldn’t like to anyway. Whilst they have taken a step away from the anger of Exits and Union and perhaps lost a handful early fans in the process, the strides they’ve taken in a positive direction are clear and done with such aplomb that The Cold Still shows a good step forward displays that excellent knack for a catchy tune. I’ve said it before and will say it again – watch out for them at a stadium near you. As far as successful years go, 2011 was up there for Adele. After her debut album 19 passed in 2008 with praise but little incident, her follow-up 21 released almost exactly 2 years later caused a few more waves. As well as being the most downloaded album of the year, 21 was no. 1 in 26 countries, certified 12 times platinum in the UK, 5 times platinum in the US, Mercury and Grammy nominated and has sold more than 17 million copies worldwide. It’s fair to say a few people enjoyed it. And although perhaps I’m a little flippant dear reader, there really is a lot to shout about on 21. The vocal performance is one of the defining features and is so effortless and surprisingly genuine for such a successful album. And that’s a theme that continues from start to finish. Written after the break-up of an 18-month relationship, the lyrics often make you empathise and feel their pain and away from the singles the swagger and revenge on tracks such as Rumour Has It are as enjoyable as that of Rolling in the Deep. On the surface it came across as a surprise hit, but when you look inside it becomes obvious why 21 sold so well .By combining her huge voice, everyman image and an excellent combination of retro soul and emotion, Adele has produced an excellent pop album apparently loved the world over. Once in a while you come across music that you cherish and enjoy. Artists that offer a connection to you that disproportionally enhances the music – I suppose you could call it Outreach in the Key of C.
Of course, the music is always good (a statement which is always subjective) and that’s the key foundation to the cherishing, but there’s also the way they go about themselves and, more often than not, a personal tie or memory attached to them. In my case, I was given two Turin Brakes CDs when I was a smaller boy by a family friend, and inexplicably proceeded to listen to just one track out of twenty six on offer. But since rediscovering the band 18 months ago (especially latest album Outbusts) I’ve come to realise what I’ve been missing out on. But getting to the point, Turin Brakes have released a between-albums EP in time for Christmas, which features one new track and three covers. Although I’ve not heard it, I’d happily stick my blogging neck on the line and say it’ll be worth a listen, especially since the one track I have heard is excellent. Specifically, it’s a cover of the Mary Poppins classic Chim Chim Cher-ee – perhaps not a sentence I’d ever expected write – but one I feel is justified as it really is a clever and haunting cover. Who knew the wholesome Mary Poppins could be given such a dark and mournful twist? Turin Brakes have managed it with grace, all the while maintaining the integrity of the original, and donating homeless charity Shelter all the profits to boot. Well worth a listen (you’ll be singing it for days…) and even more so downloading and benefiting a deserving charity in what is this most Charitable of seasons. Apparently, there is a saying that nice guys finish last. If that’s the case then Alex Cornish is in trouble. As hard working and amicable as they come, Cornish has released his 3rd album little over a year after it’s predecessor Call Back arrived to much and deserved praise, and what a cracker it is. Luckily, there’s nothing to say that nice guys aren’t destined to produce great albums and in No Shore, Alex Cornish has produced something special. With every album there has been palpable growth and this album continues to build on the success of the past and treads a path towards wider recognition. Whilst I will say there’s no great shift in genre (this is not Cornish’s Kid A just yet) and that any notions of a rock opera have yet to materialise, this album has the feeling of something about it – a deplorable way to communicate my feelings yes, but Alex Cornish has been ready for a breakthrough for the last 18 months and perhaps this is the album to propel him forward. Much like it’s predecessor Call Back (full review here), the majority of the recording of this album took place in Cornish’s living room in the far reaches(ish) of Scotland and, in the greatest sense of the word, No Shore sounds like it. Passion and commitment are here in spades and in the short time it takes to reach Rely, that’s already evident. In tone it’s almost resigned and in musicality it’s excellent – combining confidently brushed drums with surprisingly catchy melody and delicate guitars sets the album well. Skyline of Paris is a refreshing and uplifting ode to love whilst Open Your Eyes is something of curveball – not only does it feature electric guitar (folk blasphemy? ), there’s a slightly twisted hook that sits surprisingly well with the rest of what is actually an extremely accomplished track. It’s little flourishes like these and the attention to detail that is characteristic of the whole record, that help make this so exceedingly enjoyable. However, No Shore is most comfortable when pulling at heartstrings and ballads are undoubtedly where Cornish’ is really at his best. Not coincidentally, the two ­standout tracks both happen to be ballads of the highest order. No matter whether it’s the carefully orchestrated, delicate guitars of Breathe Slow or the gradual building of violins in This is the Point, both have first-rate vocal melodies and, when coupled with the emotion and tone behind Cornish’ voice, really make the songs believable and genuine. Overall, this is another firm step in the right direction. If he wasn’t already, we can safely classify Alex Cornish as a hidden gem amongst what is at the moment a very healthy mine of new music. No Shore has a definite Mercury Prize feel to it and although that particular award seems to be increasingly based on record sales and trendiness, it’s still a highly prized asset for any musician and should represent an artist at the top of his or her game. I can’t recommend No Shore enough and if you get the opportunity to see Alex Cornish live, I’d strongly urge you to take it. Get this album and say you were there in the beginning – as a once-successful-singer-turned-Christian once sang, The Only Way is Up. Below are my picks from No Shore, from the plucked violins of This is the Point, the folk-jazz like hook in Open Your Eyes or the sheer delicacy of Breathe Slow, they undoubtedly show all that’s best of the album.